A color change charge occurs when the same artwork is to be printed on a run of cards but a portion of the run is printed in one color and the rest is in another color. SecuraKey manufactures various types of cards and keytags including, but not limited, to Proximity, Smartcards, UHF , Wiegand, Dual Technology and MIFARE® DESFIRE® cards. Additionally, SecuraKey is an industry leader in the creation of custom, four-color printed technology cards. Please Note: A minimum quantity of 250 cards is required for custom artwork. The best way to send logos and graphics is electronically, in PC or MAC format. Preferred artwork format is Adobe Illustrator, however TIF, JPG, EPS and PDF are also accepted. All submitted artwork must be in CMYK, and if there is any text, you must include the fonts as well. PhotoShop images such as JPG, TIF, PSD must be in 300 dpi or higher at actual size. Include 1/8” larger for backgrounds that bleed to the edge of the card. For Barium Ferrite cards be sure to include insertion instructions or an arrow to show which end of the card is inserted or placed on the reader. 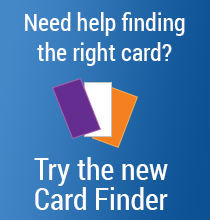 Minimum Order: Custom card production requires a minimum order of 250 cards. Proofing: After all questions are resolved about the card order, artwork layout, colors and encoding, you will be provided an electronic proof. This proof provides samples of the artwork and ink colors to be used. (The actual colors may vary slightly from the proof since printing colors on plastic is more variable than printing on paper). The proof should be signed with no reservations. If changes are required, a new proof will have to be made. For customer requested changes, there will be a charge for the second proof. The new proof will be completed within one week and again sent out for approval. Once we have proof approval, printing will start. We cannot begin printing custom cards until we have this proof approval. Typical lead time from proof approval is 3 weeks. A four-digit artfile number appears in a corner of every card. Specify the artfile number and order at least the minimum of 250 cards. The typical lead time for reorders of custom cards is 3 weeks. You can order cards to be custom printed and held in stock at the factory. The cards will remain un-encoded. Minimum order is 250 cards, and you will be charged for the full price, less the encoding charge. Order 250-2499 cards one time setup charges will apply. Order 2500 cards or more, printing charges are waived. When you are ready to encode (minimum 50 cards), they will be encoded and shipped to you for the encoding charge only. This custom card program effectively reduces custom card delivery time from 4 weeks to 3-5 days. SK-ART – Hourly charges for preparing your artwork for printing. SK-PRINT – Fixed One time set-up charge applies to the first order. No setup charge for subsequent printing using the same artwork with no changes. Signature Panel – Strip which accepts a signature in ink. Slot – Punched or molded hole made for insertion of strap clip. Eyelet – Grommet for the ETST, ETKT, RKST or SKC-06 (specify locaton on SKC-06 card upper left or right). Mag Stripe – HiCo magnetic stripe on top/back side of card. Un-Encoded. Laser Numbering is now a standard, no-charge option on all cards types. SK-SIGSETUP – Setup charge to apply signature panels to a run of cards. SK-CLIP – Strap clips for cards, each.